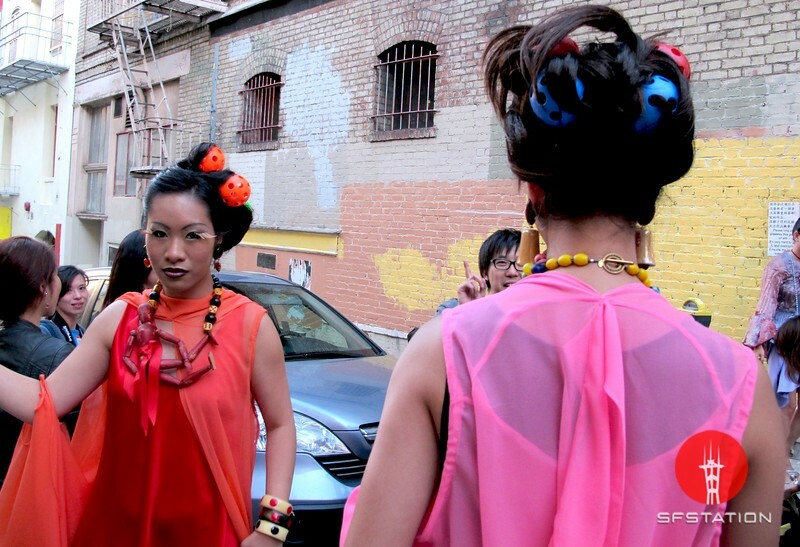 In This Scene: Stephanie Ng (left) and Kristina Owyoung (right), getting ready for their photoshoot. Both models are wearing dresses by Monique Zhang, Sally Bass jewelry and, yes, whiffle balls in their hair! The whiffle balls actually look pretty great as hair accessories--definitely a cool idea.